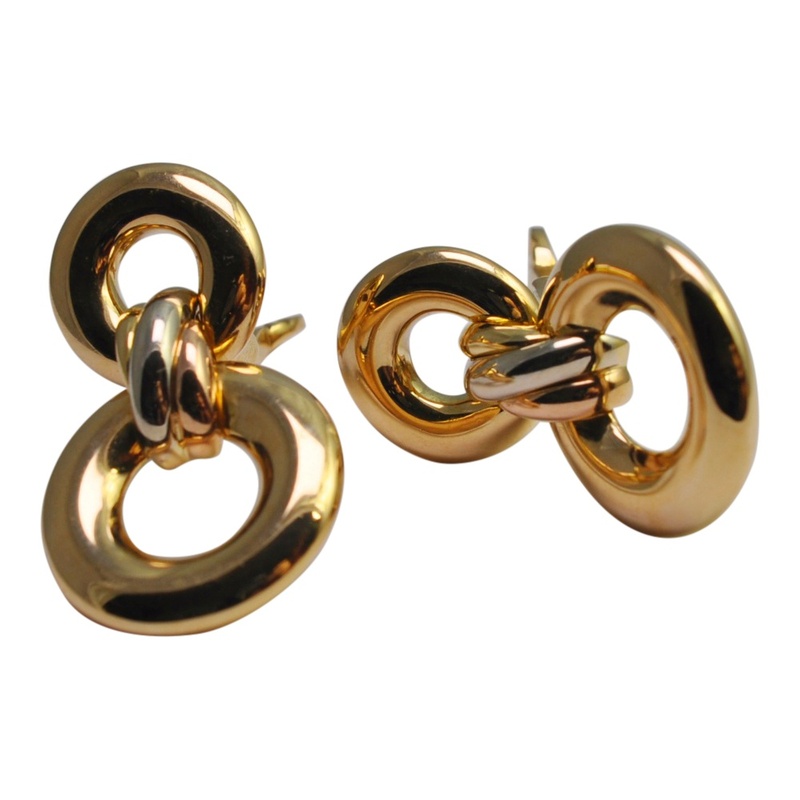 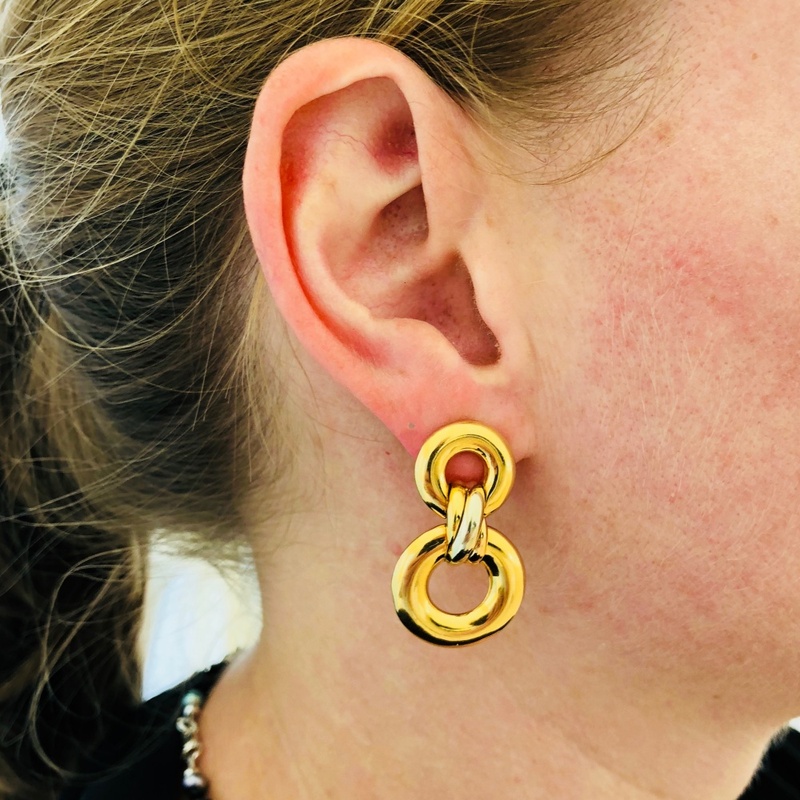 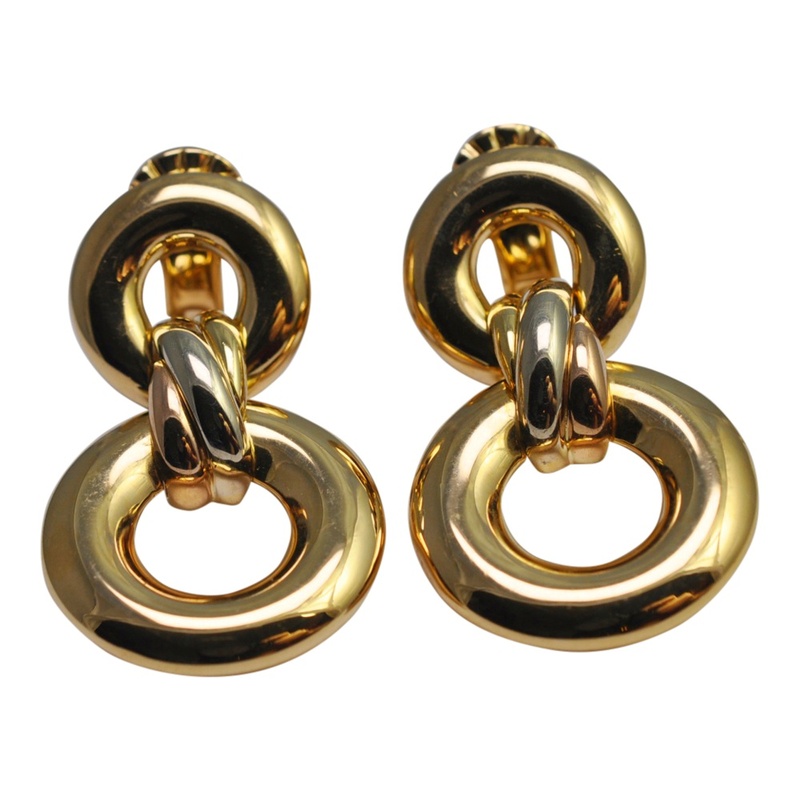 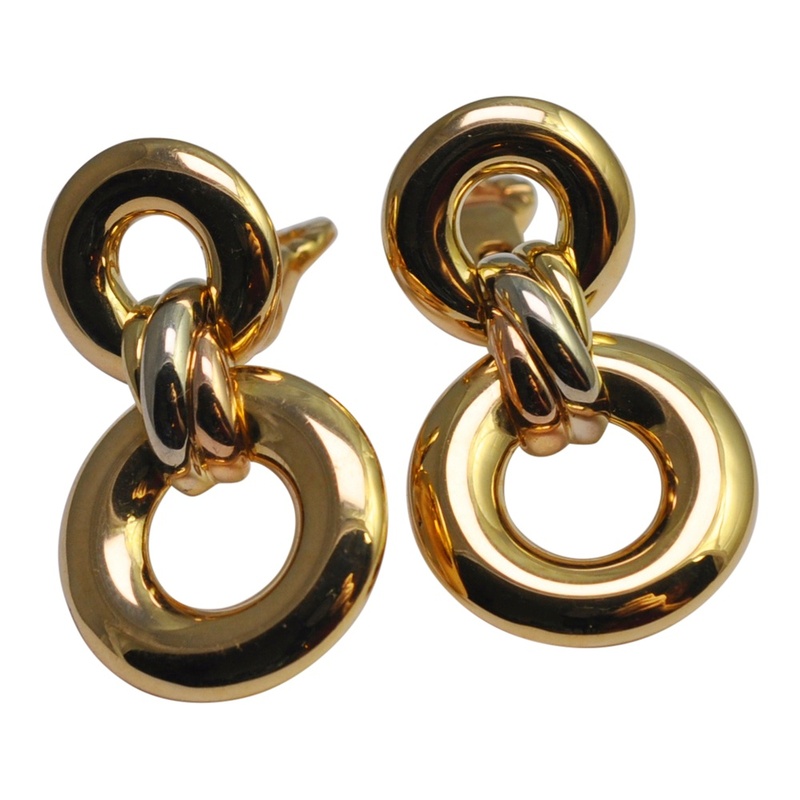 Cartier Trinity 18ct gold earrings; these iconic Cartier earrings are formed of two hoops, one large, one smaller, linked by the famous tri-colour bands across the middle. 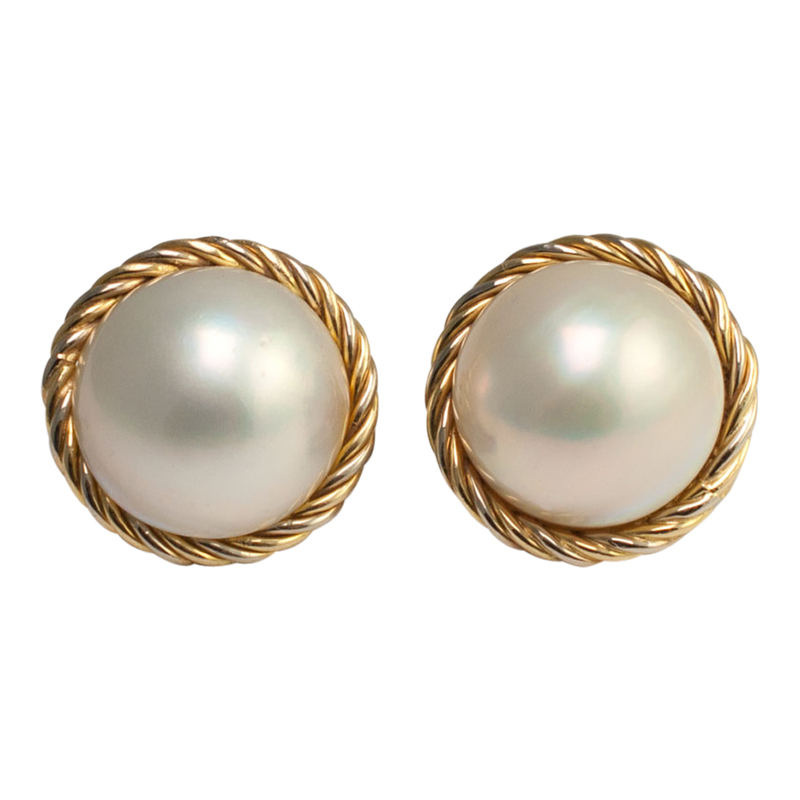 Originally, they were fitted with a clip and post, but the posts have been removed so they are currently for non-pierced ears. 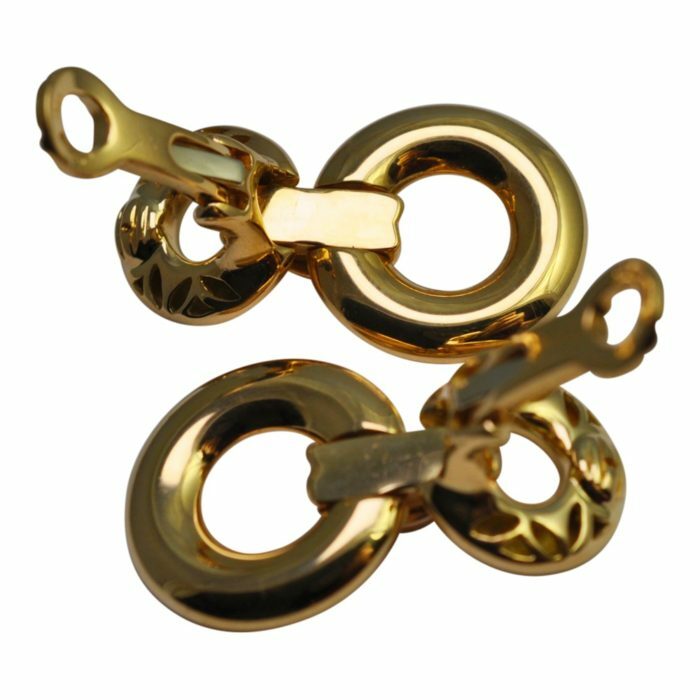 We are able to replace the posts free of charge should you wish. 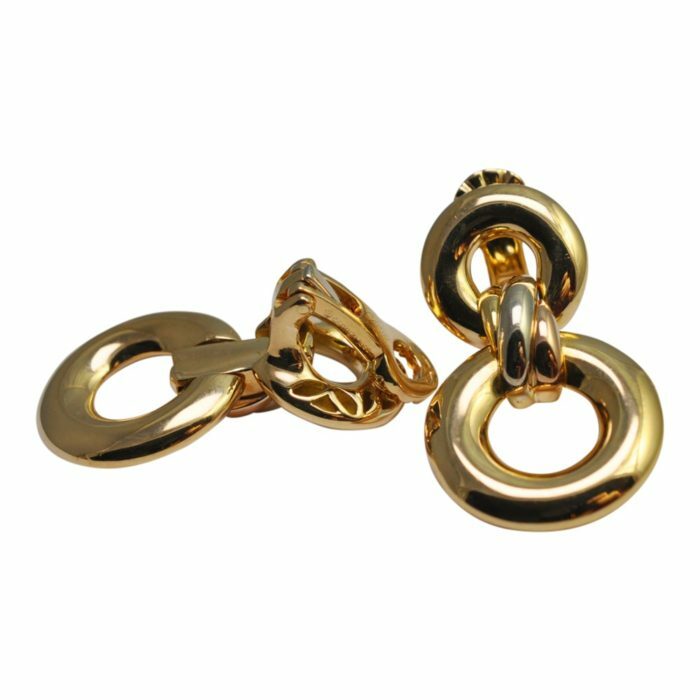 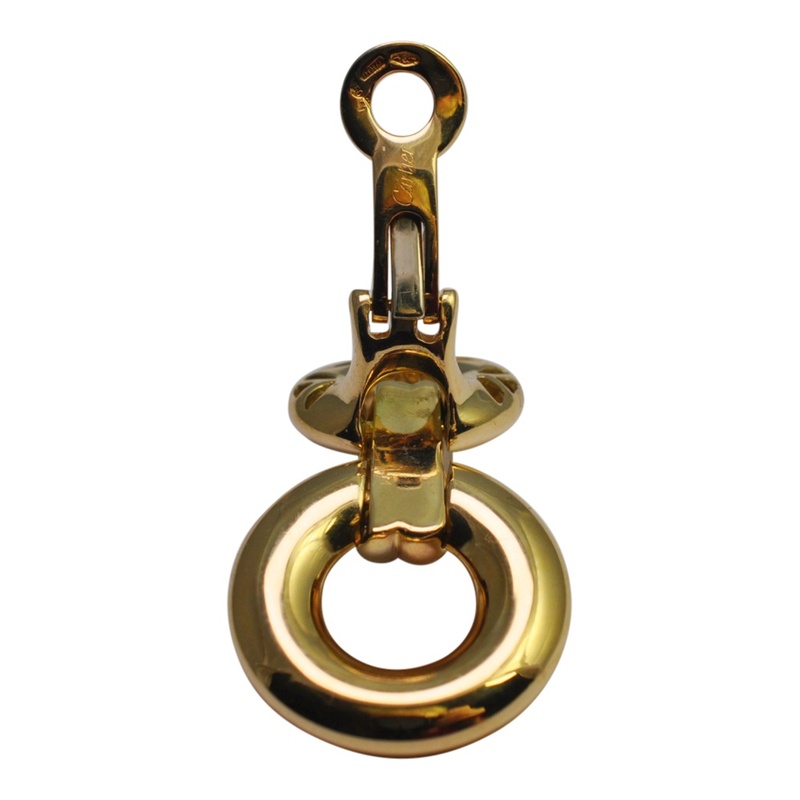 Weight 24gms; measurements – length 3.5cm x 2cm. 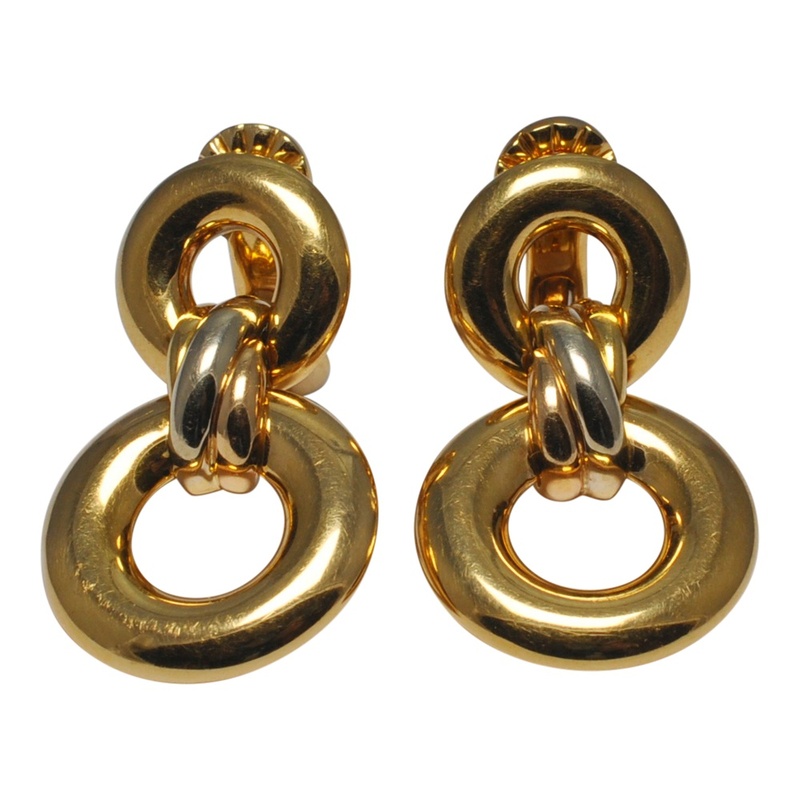 Signed Cartier, dated 1996, 750 and individually numbered. 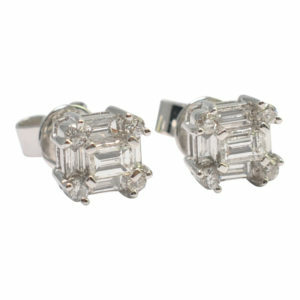 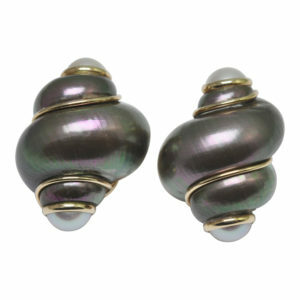 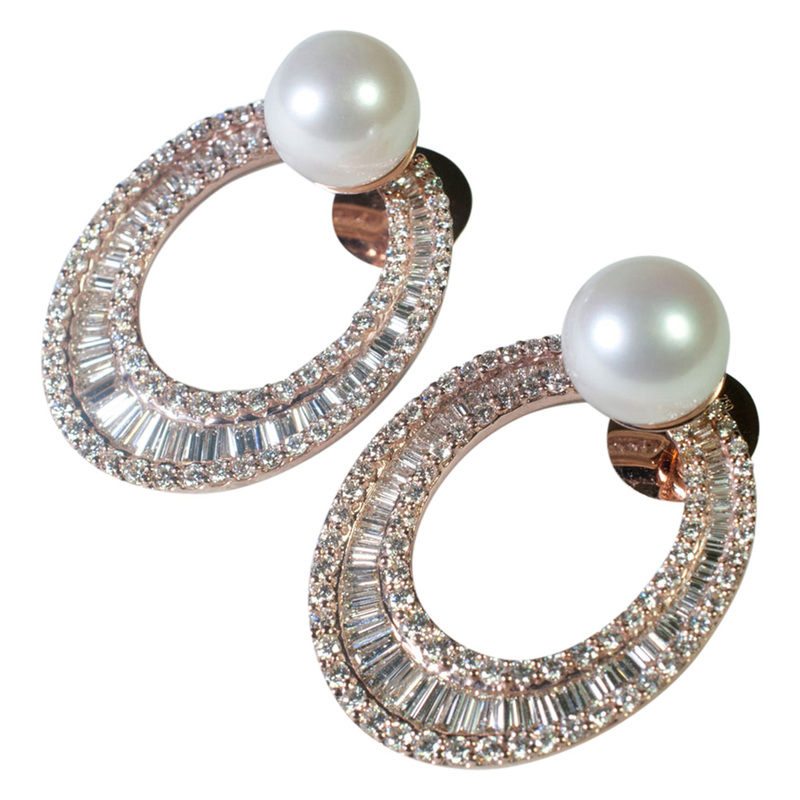 The earrings have been professionally re-polished and are in excellent condition.